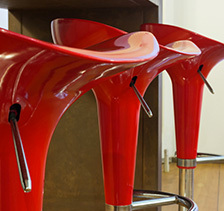 Barstools.co.uk brings you a fantastic collection of contemporary bar stools in a range of designs. Each stool is made from the best materials and is available at amazing prices. At Barstools.co.uk we supply leather bar stools in a variety of different leathers to suit a range of different budgets. 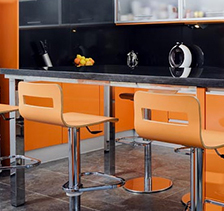 We bring you a stylish selection of funky bar stools at competitive prices. Made with quality materials and available in a range of designs to suit every taste, we have it all in our collection of bar stools. 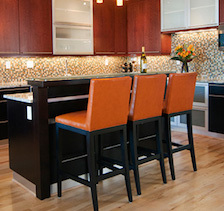 "Definitely worth the money - very nice bar stools. I am quite impressed with your level of customer service." "Friendly and courteous people are always a pleasure doing business with. We were treated like royalty. Thanks for the great service"
We also offer alternate delivery services such as a PRE10 delivery service or a Saturday delivery service which can be added to your basket when you checkout. The majority of our goods are sent out with our preferred courier Yodel (formally known as DHL). After your goods have been despatched from our warehouse, Yodel will email you the tracking details for your purchase. Orders received before 2pm during a week day will be despatched the same day for delivery the following working day. Orders received after 2pm on a weekday, or over a weekend will be despatched the next working day. Place your order on a working day before 2pm, and your order will be sent out the same day on a next working day delivery service. Orders placed after 2pm on any working day or on Saturdays, Sundays and Bank Holidays will be despatched the next possible working day. Place your order on a working day before 2pm and your order will be sent out the same day on a next working day Priority 10 service. Place your order after 2pm on a working day, or on any non-working day, and your order will be sent out the next available working day on a next working day Priority 10 service. Place your order on a working day before 2pm and your order will be sent out the same day on a next working day Priority 12 service. Any fault with your order should be reported to us within 48 hours of delivery. It is worth checking the items over thoroughly straight away, even if you are not intending to assemble or use them immediately. You can report such problems to us by speaking with a member of staff over the telephone or alternatively please send us an email. Once we know exactly what the problem is, we will endeavour to resolve the issue to your satisfaction as quickly as possible. You are entitled to send your goods back within 7 days of receipt. If you have decided that you would like to return your item to us, please contact us as soon as possible so we can arrange to collect the items from you. This service will be charged at the same cost we receive from our courier, which is no more than £10 per item ordered. The items and packaging must be returned to us in an unused, unassembled, re-saleable condition. Please note – the right to return a product does not apply if the product has been assembled and/or used, or not in the same packaging as the items were posted out in. A. We respond to emails during open office hours (Monday - Friday 9am - 5pm) This also applies to telephone calls. We endeavour to answer all emails within 48 working hours. Before emailing us, please take a moment to re-read the item description and our FAQs section as many questions can be answered this way. 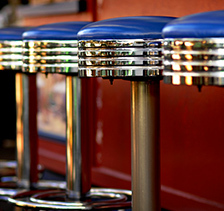 Taking position as the UK's leading bar stool retailer, Barstools.co.uk stocks a huge range of different stools as well as other related bar furniture. Because we have hundreds of different models to choose from it can be difficult knowing where to start - this is why we have made searching simple, firstly by grouping our stools into different categories, such as kitchen bar stools and contemporary bar stools as well as our handy filtered search toolbar on the left hand side to narrow down your results even further. 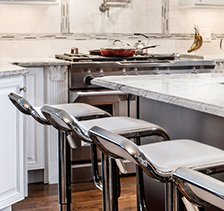 Looking for a breakfast bar stool in white with a high back? Or how about leather bar stools in black? No problem - the only hard part then is choosing out of the rest. 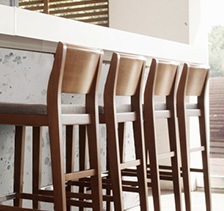 While bar stools have been a common fixture in commercial spaces such as pubs and cafes for as long as we can remember, they have also started to prove themselves very much at home in a domestic setting too. 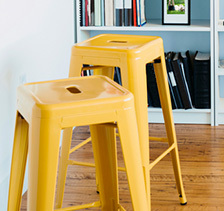 An inviting stool can instantly enhance the ambience of any room. Take our Pranzo bar stool for example. This fixed height stool has enough kick in its four legs to demand anyone's attention, and yet the subtle cream tones of the buffalo leather are quietly confident. Alternatively if you are simply looking to brighten up your kitchen and require something a bit more colourful, you're also in luck. Our bar stools come in a rainbow of different colours, like our best-selling Benito range, available in dazzling orange, deep purple and luscious green. 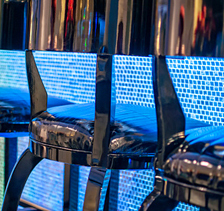 Or if you've got a keen eye for style, make sure you check out our exclusive designer bar stools.